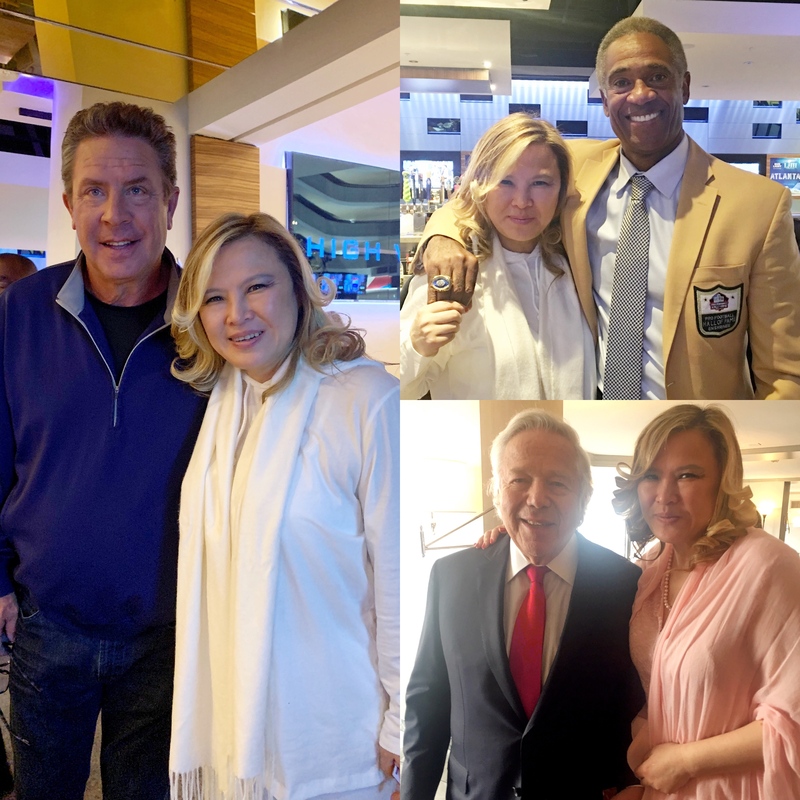 NEW YORK, NY / ACCESSWIRE / February 11, 2019 / On February 3rd, 2019, Ms. Sherry Li, CEO of Thompson Education Center attended the Super Bowl LIII. The game was between the New England Patriots and Los Angeles Rams. The Patriots defeated the Rams by the score of 13-3. The game was played at Mercedes-Benz Stadium in Atlanta, Georgia. 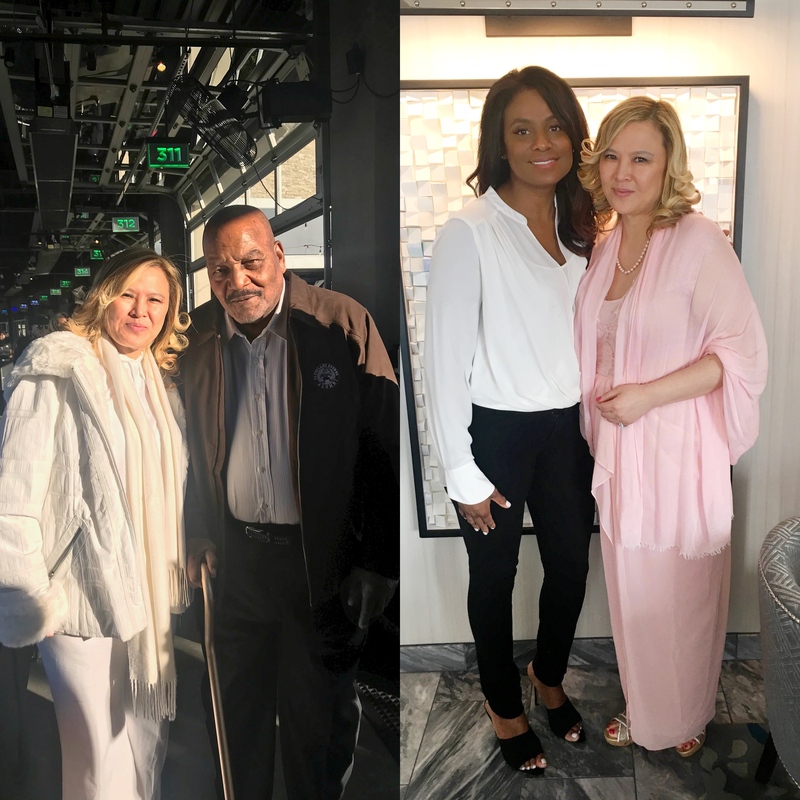 On Friday February 1st, Ms. Li was invited to Jim Brown's Legends of Football Golf Tournament hosted by Amer-I-Can. Jim Brown is a former professional American football player. From 1957 to 1965, Brown was a running back for the NFL Cleveland Browns. Considered to be one of the greatest football players of all time, Brown was recognized as the AP NFL Most Valuable Player three times, and won an NFL championship with the Browns in 1964. He was inducted into the College Football Hall of Fame in 1995 and enshrined in the Pro Football Hall of Fame in 1971. He then founded Amer-I-Can in 1988. Ameri-I-Can's goal is to help enable individuals to meet their academic potential, to conform their behavior to acceptable society standards, and to improve the quality of their lives by equipping them with the critical life management skills to confidently and successfully contribute to society. Sherry met with Monique Brown - Jim Brown's wife - to discuss the opportunity to work together on education programs. Sherry and the team members played golf with Mike Haynes, a Hall of Famer in the Golf Tournament. Mike Haynes is a former American football player in the National Football League (NFL) who played as a cornerback for the New England Patriots and the Los Angeles Raiders. He used his speed, quickness and range to become both a premier defensive back and an outstanding punt return specialist. Haynes was elected to the Patriots Hall of Fame in 1994 and inducted into the Pro Football Hall of Fame in 1997. He was also inducted into the College Football Hall of Fame in 2001 for his career at Arizona State University. Thompson Education Center plans to develop designed education programs with Mike Haynes and the NFL for students. Steven J. Labovitz is a partner of Dentons US LLP, Mr. Labovitz ''focuses on government affairs at a local, state and federal level, with an emphasis on legislative action, economic development, public finance, privatization and government efficiency''. 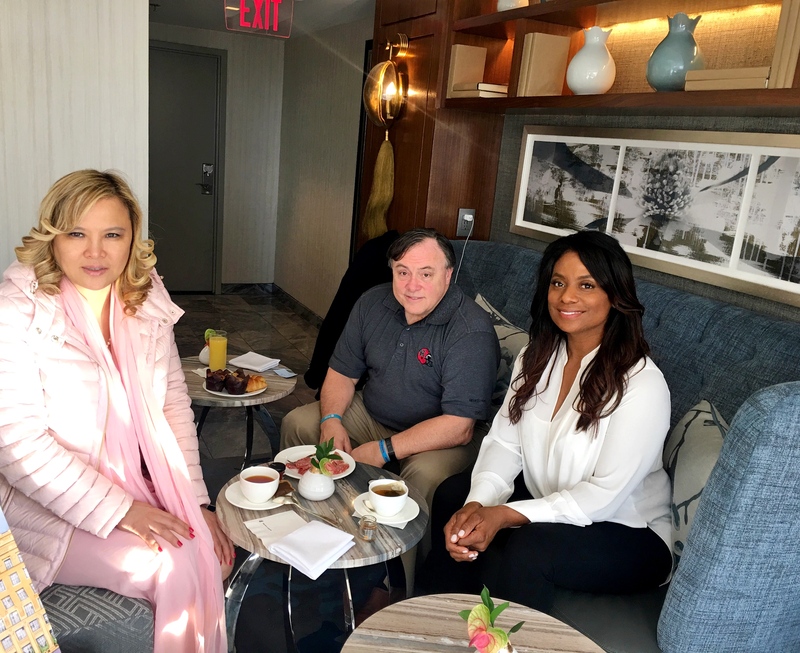 Mr. Labovitz represented Mercedes-Benz Stadium team as a attorney to attend the Super Bowl LIII and he helped the development and construction of the stadium. Ms. Li also had the opportunity to meet Mr. Robert Kraft, ''the owner of the New England Patriots, Major League Soccer's New England Revolution, and Gillette Stadium, where both teams play'', and Dan Marino a former American football quarterback who played seventeen seasons for the Miami Dolphins of the NFL. Thompson Education Center plans to offer Ivy League Prep program, in order to give students with sports trauma and treatment related courses, particularly focuses on concussion. The program will teach students about possible traumas and how to give correct treatment for each of them after sports injury. The courses can be transferred to Ivy League universities college credits. After the completion of Thompson Education Center, Sports Week program and Prep program will be held on TEC campus. The Ivy League sports teams and coaches will come to TEC campus to provide the one-week training program and the Prep Program courses.